2014 promises to be a great year with alot of new products being launched this year. Since September 2013 Barcode Datalink now has three full time developers. Our focus is on writing web based Software as a Service cloud based solutions and integrating Motorola mobile computers. 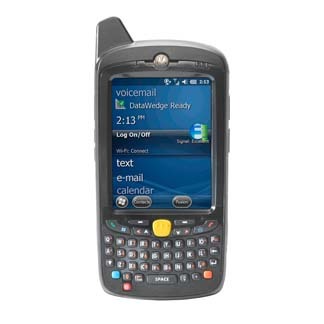 Barcode Datalink can also write any number of mobile data capture applications. Currently we have written some batch data capture applications that integrate with Pronto and SAP for stocktaking in remote areas that don't have wireless coverage. Shortly, Barcode Datalink will release STS-Assets. This is our cloud based asset management solution and the real power comes when you use a Motorola MC65/67 mobile computer to audit your assets and take photos. Contact us for more information and a demonstration. 2013 was a great year for Barcode Datalink. We'd like to thank our loyal customers for their support. We provided a wide range of hardware/software solutions around Australia and even New Zealand and Dubai - who used our online Stocktakes Online solution for their stocktake. As of February 6, 2012 Barcode Datalink has moved to a new office. We've moved to a relatively new estate on the other side of the M4 at Nelson's Ridge, Pemulwuy (Greystanes). It's just over 3kms from the old office in Toongabbie. For over 22 years Barcode Datalink has specialised in Zebra barcode label printers. Barcode Datalink has now added the Toshiba range and will be the first choice we offer new customers looking for a barcode label printer that is packed with features and competitively priced. Toshiba offer a 12 month warranty on the print head and stock is always at hand so there are no eight week lead times. Read more about the Toshiba barcode printer range. Barcode Datalink will now apply DataDot Technology to all Motorola mobile computers and Zebra barcode label printers. DataDots will be registered against the serial number and you, the owner of the equipment. Should the unit get lost or stolen and is found we can return it to you even if the serial number label has been removed. Another benefit will be that we can provide warranty even if the serial number label is worn out or missing so long as we can find the DataDots. If you want to record DataDot numbers against your own serial numbers for products that you sell and are looking for a data capture solution to achieve this, Barcode Datalink has developed an online and real time SaaS (Software As A Service) solution that can be linked to your website for online registrations by your customers. Using mobile computers you can scan the serial number and DataDot barcodes and record this information instantly to our online database. Stocktakes Online is our 'Software As A Service' (SaaS) stock taking solutions is now online and ready for customers to use. It's on demand, meaning you can access the system anytime, anywhere from any PC that has Internet Explorer. Using RF mobile hand held barcode scanners you can scan your stock, key in the count and see the reports online as they happen. No more uploading and downloading of text files and trying to work out totals. No more erasing or losing data during the count and not knowing who counted what, and where. Stocktakes Online now cuts stocktaking time down to a minimum and makes managing the whole process alot simpler and easier. To find out more click on the STO logo and watch the online videos to see how this stock take SaaS solution can take the headache out of your next stock count.